TheHill.com reported recently that South Dakota has become the latest state to pass a Constitutional Carry law allowing residents to carry concealed handguns without permission from the government. [Gov. Kristi] Noem(R) who just entered office earlier this month, signed the bill repealing the permit requirement that was passed by the state legislature. She said she was “proud” that it was the first bill she signed as South Dakota governor. “It's special for me to be signing a bill into law that protects our Second Amendment rights," Noem said. The law, referred to by its proponents as “constitutional carry,” gives South Dakotans to choose whether to obtain a concealed carry permit. The law will go into effect on July 1, making South Dakota the 14th state to allow constitutional carry. Constitutional Carry bills have been introduced in every Ohio General Assembly for more than a decade, and one will no doubt be introduced again this session. Constitutional Carry is an exciting possibility for gun owners in Ohio. It used to be said that it only worked in rural Vermont. Alaska is considered wilderness and didn't seem to matter either. Then, in 2010, Arizona passed a Constitutional Carry law. The success there has changed the thinking of many, and this once "radical" idea is becoming mainstream and is now working its way through many state legislatures. At least eighteen states now allow some form of unlicensed concealed carry, and several other states are considering legislation. We don't need permission from the government to go to church or exercise our First Amendment right. Nor do we need a license to exercise our right for a speedy trial (Sixth Amendment.) It makes no sense that a person would need permission from the government to remain silent (Fifth Amendment) or be secure with our belongings that a Government can't just take or search at their whim (Fourth Amendment). The whole idea in the "Bill of Rights" is that they are, well, rights. They are rights of the people, and our Founding Fathers codified them because government tends to overstep its bounds. If we have the "right" to "keep" (own) and bear (carry) arms, then why do we need permission? Society generally agrees that there are actions that will cause a person to lose some of their rights. A person convicted of a crime and sentenced to jail forfeits his Fourth Amendment rights while imprisoned. He and his cell may be searched without his consent. Convicts also forfeit their Second Amendment rights. The Second Amendment is the only right people have, that is commonly regulated to the point where they need a license (permission from the government) to exercise that right. This has lead many to the incorrect assumption that carrying a gun is a privilege, like driving, that can be highly regulated and exercised only by those with specific permission from the government. Even though this bill would make desirable changes to Ohio's concealed carry laws, it faces an uphill battle. 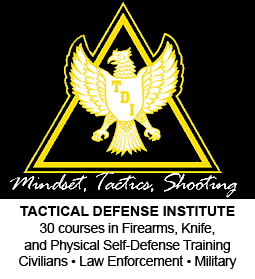 Considering that the Ohio legislature has not even been willing to remove the duty to retreat from our self-defense laws, and considering that we had to move from four hours training to eight hours just to get HB 234 passed in 2014 - it's safe to say we're still a ways away from this becoming law in Ohio. In Guns & Ammo's ranking of "Best States for Gun Owners," Ohio ranks 28th, and falls behind all but one of its border states. Michigan, which passed concealed carry one year before Ohio, ranks 26th. Indiana comes in 20th, West Virgina ranks 15th, and Kentucky is ranked 14th. It must be noted that legislators in Constitutional Carry states did not suddenly change their position on firearms restrictions. Rather, voters sick of the status quo were involved in contacting their legislators. They explained the issues facing them and educated their officials about the need for change. They were polite and persistent and now they are reaping their just rewards. It will be interesting to see which state's gun owners rally their legislators to become the next state to adopt Constitutional Carry. 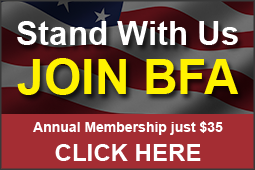 Become a member of Buckeye Firearms Association. Volunteer to get help us with campaigns and projects. Reach out to other gun owners on a personal level and get them involved. Does your club, range, and gun store hand out information about Buckeye Firearms Association? Do instructors you know hand out Buckeye wallet cards? Are members of clubs you belong to informed on firearms issues? If not, talk to them about getting more involved. They saw an increase in business when concealed carry passed. 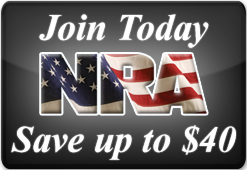 Their success is directly related to the success of Buckeye Firearms Association. Help build a relationship that allows us to work together. Reach out to non-shooters. Take them shooting with you and make it fun for them. If we could each recruit one new person, we would double in size. Repeat as necessary until the desired results have been obtained. For other ideas, visit our Grassroots Action Guide and read the 5-Minute Handbook for Grassroots Activists. Gun owners are encouraged to contact these Representatives and express your hope that pro-gun legislation will take center stage in the 133rd General Assembly.